Marketing tools for ecommerce businesses come in multiple forms, ranging from PPC ads and email to retargeting and social media. However, hardly any one of them can beat an effective referral program. We all know, that there is no better ambassador for a brand than a happy customer. In today’s world, where customers are constantly attacked with ads and product placement, the word-of-mouth is, probably, the only way for people to squeeze valuable information out of the noise and spend their money on the products and services they will be most likely satisfied with. No wonder customer trust recommendations from the people they know more than brands. Companies that integrate referral marketing into their strategy unlock a plethora of opportunities for business growth. Not only is it way less expensive than traditional marketing, but also provides for an outstanding brand reach. Satisfied buyers tend to refer a company to their pals who may be interested in it too, spreading the word about the brand both online and offline. Thus, business owners don’t have to put any effort into finding prospects and turning them into leads (and, consequently, customers) by their own. A well-organized referral program will work like magic. Companies are well aware of the power the referral marketing has. More and more sales representatives and marketers see referrals as the best leads any business can get. The task for online merchants is to set up a cool referral program and draw existing customers in. In this post, we have put together the best practices of launching and running a referral program at online stores. Keep on reading to discover them all. Let’s face the reality: time is the resource we all lack these days. There is no chance you get people to participate in your referral program if it takes dozens of steps to sign in. Thus, the process of enrolling into your program should be a piece of cake. Create a simple sign-up form with minimum required fields and enable invites via email and social media so that referrals could join the program with just a couple of clicks. As with any marketing campaign, it is important to ensure the rules of your referral program are easy and clear to all the participants. Make them instantly accessible on the website and do not overload visitors with pages of contract-like terms and conditions. Employ best UI/UX practices and create an attractive landing page that describes your referral program in the best way yet provides all the necessary information. Do not hesitate to use beautiful illustrations and graphics with self-explanatory descriptions or even place a video-guide on the page and upload it to YouTube with a link to the referral program. Video content will drive more traffic to your website, increasing the outreach of your referral marketing campaign. To draw customers’ interest to your program, think out carefully the rewards you are going to offer. Even if your products are amazingly good, customers will recommend them to friends with more enthusiasm, if they are promised a valuable reward for that. It can be discounts, freebies or gift cards, to name a few. Such a “cash”-based referral program is the easiest option. However, you can offer non-material perks to your participants as well. For instance, you can provide extra services like fast delivery or early access to new product releases. Account upgrade to a higher level is also a great option, if applicable at your store. And it’s vital to ensure that both referrers and referrals can take the same advantage of your program. Of course, your brand advocates will probably notice your new referral program when browsing your website for a new purchase. However, to get as many participants as possible into your referral funnel, make use of all marketing channels you have. Write compelling Calls-to-Action and place them into your email copies (both newsletters and standard transactional emails like order confirmations and post-purchase messages), landing pages and blog posts. A great way to prompt your customers would be mentioning the referral program on the checkout page as well. Besides, leverage your social media accounts and notify your followers about the referral program launch. The more you promote, the higher awareness you build. Once you’ve shared the news about your referral program, keep it on your customers’ mind by sending reminders from time to time. Even if people are fond of your company and are ready to refer it to their friends, they can just forget to do so. Statistics prove this fact: 83% of happy customers are willing to make referrals, however, only 29% of those actually refer. But be careful: by bombarding your customers with referral requests non-stop, you will turn people into haters. 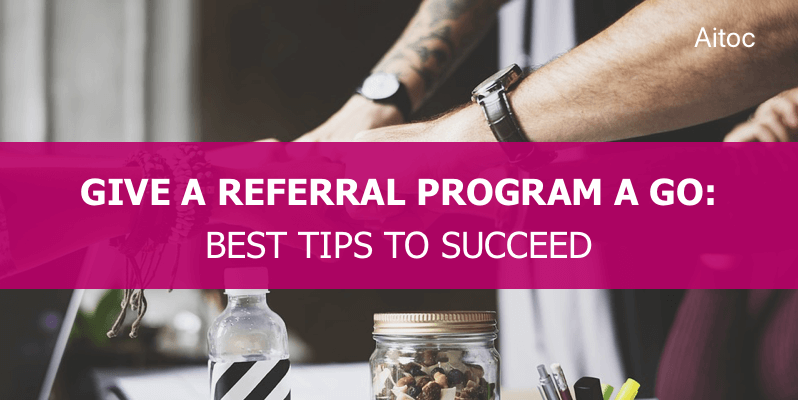 Make sure you’re sharing useful and relevant information with them, and mention your referral program once in a while, highlighting the advantages THEY as participants can get. Once you’ve launched your newborn referral marketing campaign, keep it on your radar and track its performance continuously. Even if you have come up with a great program beneficial to your customers, do not let chips fall where they may. Your competitors may always offer a more compelling reward than you do and so steal your buyers from you. Test the chosen strategy periodically, 6 months will be enough to understand your referral program’s pros and cons and determine areas for improvement. In case you’re not satisfied with current results, try providing a different referral reward, optimizing your landing pages or setting up new CTAs. The important thing here is to keep the entire experience seamless and clear for participants, without introducing significant changes on a regular basis. Referral marketing is a powerful business driver, providing businesses with an opportunity to escalate the relationships with existing clients and acquire new ones. By putting a quality referral program in place, you make an investment into higher customer engagement and loyalty. And sales growth won’t take long to come. We hope our post will help you plan out and run a great referral strategy. Good luck! By the way, at Aitoc we have a special Affiliate program for our customers, partners, and friends. 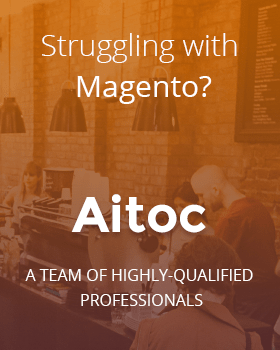 Check it out, if you want to know how to earn on our Magento 2 extensions.